Exclusive and spacious- these contemporary serviced apartments in Singapore are situated just off Orchard Road. 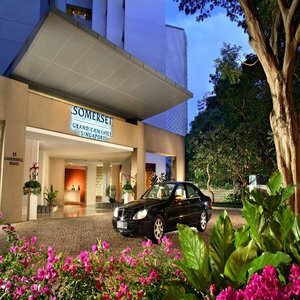 Designed with the international executive and family in mind- the Somerset Grand Cairnhill offers stylish city living with the convenience of the bustle of Orchard Road and the comfort and security of a private apartment lifestyle. Conveniently close to the Somerset MRT Mass Rapid Transit Station- the residence is ideal corporate housing for the expatriate on project assignment or relocation. In a welcome and refreshing alternative to a hotel- you can enjoy the freedom of private serviced accommodation while visiting Singapore. The residences at Somerset Grand Cairnhill have recently been refurbished- giving them a fresh look with more modern and stylish decoration with details that maintains the warmth of home.